KARACHI: Test opener Sharjeel Khan, who is serving a five-year ban for his role in a spot-fixing case, has agreed to undertake the rehabilitation program of the Pakistan Cricket Board‘s Anti-Corruption code in a bid to make an early comeback. The 29-year-old, who was suspended and sent home after the start of the Pakistan Super League in February last year, will be eligible to play cricket again in September, 2019 after the expiry of his ban with half of it suspended. The left-handed opener is said to be keen to get permission from the PCB for relaxation to resume playing club and domestic cricket before the official expiry of his ban next September. “Yes, Sharjeel has notified us that he accepts the reasons for the ban imposed on him and is ready to attend the rehabilitation program under the Anti-Corruption Code and fulfil all requirements before his ban expires late next year,” a reliable source in the PCB said. 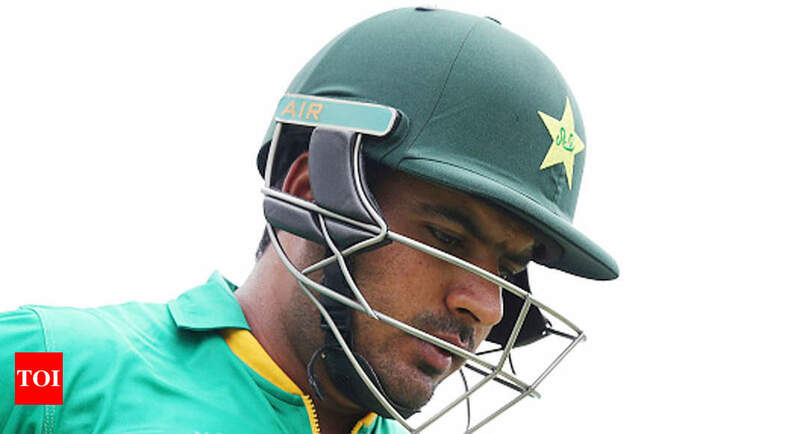 He said apparently Sharjeel had during his meeting with the PCB chairman, Ehsan Mani last month asked for pardon and also requested Mani to allow him relaxation to resume playing club and domestic cricket before the completion of his ban period. “The PCB Chairman has the discretionary powers to allow any player banned under the anti-corruption code to resume playing club or domestic cricket before his ban expires,” the source said. He said left-arm pacer Muhammad Aamir had been given relaxation under the same discretionary powers of the Chairman and that is why he resumed playing club and domestic cricket before his five-year ban for spot-fixing officially ended in late 2015. Aamir had also accepted his role in the spot-fixing scandal that rocked world cricket in late 2010 when Pakistan was playing in England. This allowed Aamir to make a fast track return to the Pakistan team for the tour of New Zealand in early 2016. The Anti-Corruption Tribunal of the PCB had banned Sharjeel, who has appeared in one Test, 25 ODIs and 15 T20 internationals, last year in August for five-years with half of his sentence to remain suspended. The Tribunal found him guilty of breaching four to five clauses of the code during the second Pakistan Super League held in February, 2017 in UAE. One of the more serious charges against him was that he had met with a suspected bookmaker and agreed to spot-fixing during the first match of the second PSL. Ironically the bookmaker named at that time, Yousuf was this week charged by the National Crime Agency of the United Kingdom of bribery and corruption and is set to face trial in a magistrate court. Yousuf was charged with another Bangladeshi person and Pakistan’s discarded Test opener, Nasir Jamshed who resides in the UK. Nasir was named as a key suspect in the PSL spot-fixing scandal last year and is suspected of having introduced Sharjeel, Khalid Latif and other players of the Pakistan team to Yousuf and other bookies. The UK agency is investigating spot-fixing and bribery by the trio in T20 leagues held by the Bangladesh and Pakistan cricket boards. Khalid Latif has also been banned for five-years by the PCB’s tribunal but he can’t be eligible to play again until 2021 while Nasir was handed a ban for 10-years by the PCB’s tribunal. Desperately waiting for the day when Sharjeel khan will again play cricket for Pakistan.